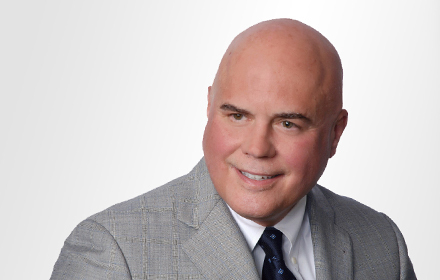 Roger P. Gilson is a Principal in the White Plains, New York office of Jackson Lewis P.C. He practices in all areas of labor and employment law with particular emphasis on traditional labor law for health care employers. Mr. Gilson has successfully represented employers in hundreds of labor cases, including National Labor Relations Board representation elections, unfair labor practice cases, labor arbitrations and federal and state court labor cases, and has provided strategic counsel in union organizing, bargaining, arbitrations, picketing, strikes and corporate campaigns. He has negotiated nearly 200 labor contracts. He was on the litigation team in Boston Medical Center and Committee of Interns and Residents, the seminal case deciding that medical residents are employees under the NLRA. He was Lead Counsel for Montefiore Medical Center (New York), one of the nation’s largest private teaching hospitals, in its successful response to one of the largest physician union organizing campaigns ever conducted. He was Labor Counsel to the Connecticut Association of Health Care Facilities’ strategic task force, which defeated the first and only state-wide healthcare strike in the U.S. He helped lead the Jackson Lewis team hired by the University of Chicago Medical Center to serve as Strategic Labor Counsel after NNU took over the existing state nurse association unit. He is Strategic Labor Counsel for University Hospitals in Cleveland, Labor Counsel to the Assisted Living Federation of America, and counsel to many other hospital systems and healthcare companies.